CLARK, NJ – It is Thanksgiving week and one nocturnal raptor living in town has much to be thankful for this year. 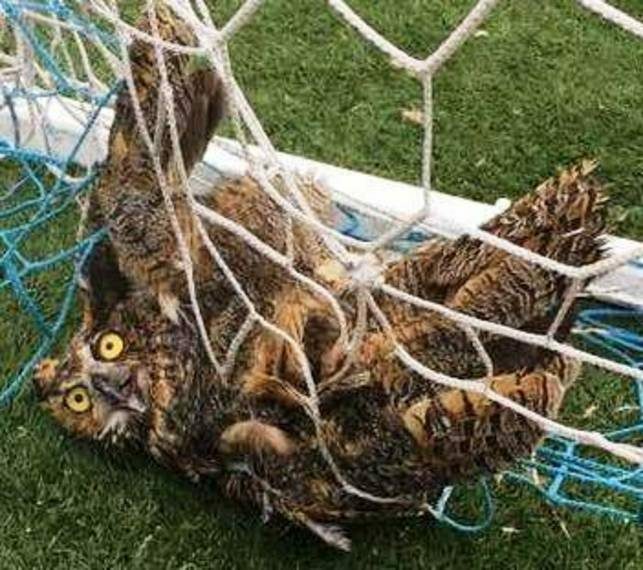 The Great-Horned owl found caught in a soccer net at Arthur L. Johnson High School in August is back in town, thanks to the kindness of a couple of locals and the expertise of the staff at The Raptor Trust. According to a representative from the Raptor Trust, the owl made a full recovery and was released last month. “We are happy to report the owl was released back into the wild in Clark,” said a volunteer from the organization. The owl was originally placed in guarded condition after being rescued and brought to the center for treatment. Officials were hesitant to make predictions at that time about whether the animal could recover. The Raptor Trust is a private, non-profit, wild bird rehabilitation center in Millington, NJ. It is open to visitors throughout the year.